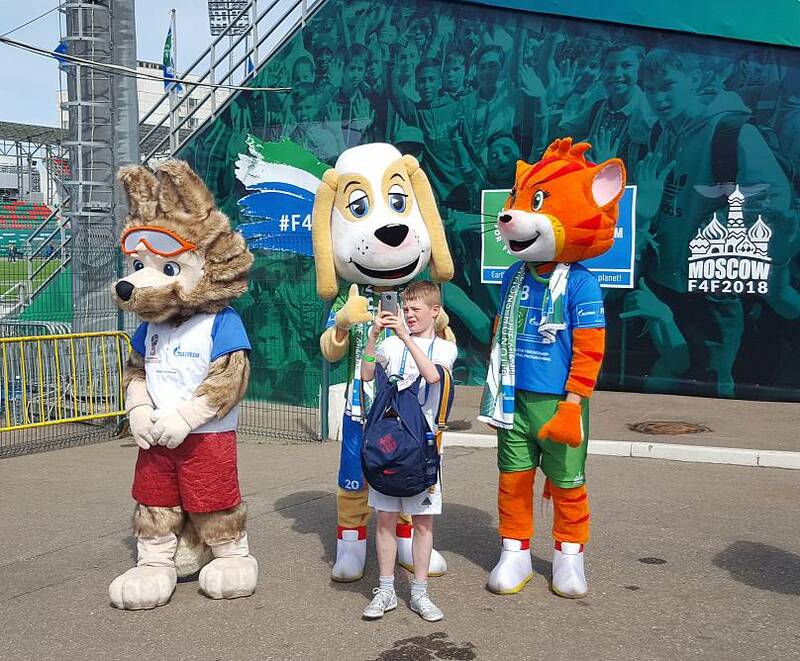 Russia's 2018 World Cup may be in full swing but in the days prior to the opening ceremony Moscow was welcoming another international sporting event - Gazprom's international children's social programme Football for Friendship (F4F). The project sees children from around the world come together around their love of the beautiful game. While the previous edition welcomed kids from 60 different countries, this year the global Russian energy company invited participants from 211 countries and regions. 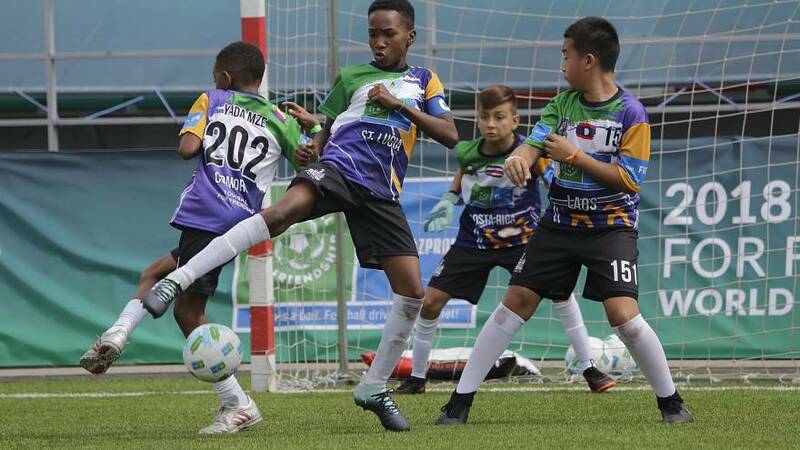 Children either take part as footballers or journalists, with randomly selected groups that mix different nations and languages, forcing kids out of their comfort zones. At F4F it’s a unique experience to see a child from Papua New Guinea hugging a teammate from Georgia, who in turn high-fives a new friend from Lesotho. 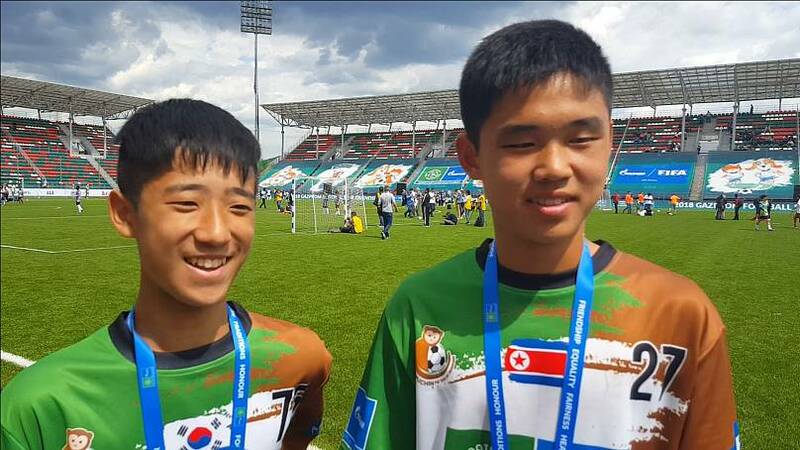 This year two young players, one from each side of the Korean Peninsula, epitomised the aim of the project as they declared themselves ‘best friends’ after spending the week as part of the same team. The message on the ground is simple - have fun while promoting the core 9 values: friendship, equality, fairness, health, peace, devotion, victory, traditions and honour. But organisers say the programme has a bigger and more long-term impact. Virtually all of the kids have some kind of project planned back home, whether that's presenting their experience at school or in the local community or writing a blog. Some from previous years had even been invited to write for national newspapers or to speak on TV. “They meet key sporting personalities, social people, ministers, presidents, kings, queens, heads of football federations,” Serov explained. In fact, in the 2018 edition, Russian President Vladimir Putin even invited one of the programme’s Russian participants to join him in his box during the opening match of the World Cup, to hear about his experiences. 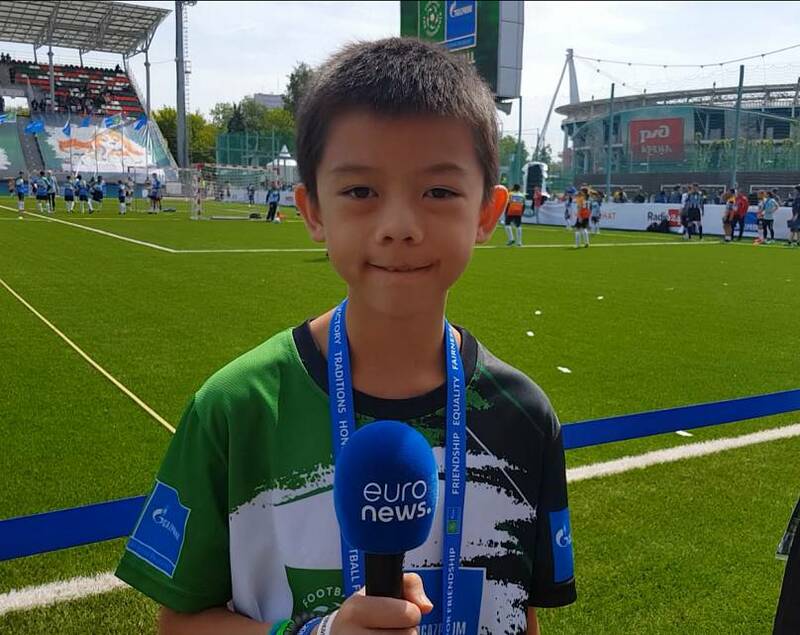 Euronews spoke to many of the kids, all of whom sing the praises of the project: “It was an amazing experience that I’ll never forget. It unites people from all over the world,” Elizabeth Raduzky, a young journalist from Scotland told Euronews. One of the young talents that stood out for her passion was 14-year-old Ananya Kamboj from Mohali, India. As a participant of the 2017 season, she has gone on to write a book about her experiences, a book that F4F has now published. Ananya really believes that the programme can change lives: "If you make friends around the globe then we would have peace and harmony across the globe. There would be no more war". 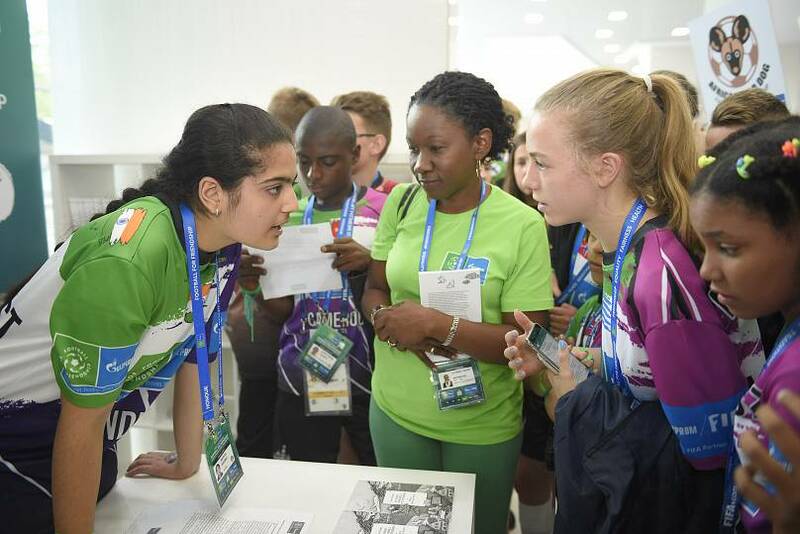 In addition to the social role that many of the young ambassadors seem to take on in their communities, many have gone on to sporting success, with several former participants being accepted into national youth teams in countries like Georgia, Portugal and the UK. The scale of the F4F programme is mindblowing, over 700 full-time project managers around the world organise some 300 national events and projects, including flash mobs, masterclasses and friendship-themed games. Organisers say that, as a consequence, around 3 million people have been involved in some way with Football for Friendship. The initiative requires an astronomical level of logistics. Bearing in mind that some of the children are living in war zones, F4F has even coordinated with the military to ensure safe passage for the participants who are selected to attend the international event. The project has also partnered with airports, security companies, foreign ministers and embassies in order to make the events happen safely. Global director Vladimir Serov told Euronews he couldn’t reveal too much about the F4F plans for the future: “Next season should be incredible. In September, but not earlier, we will announce the conception of the next season… we are thinking not only about quantity but also about quality. Right now we have a lot of humanitarian activities in our programme, which is really important and they are supported at a high level, in the United Nations, the Olympic Committee, FIFA. So we understand that we have to increase the number of these elements in the programme."